Size: 7.96 x 5.47 mm. 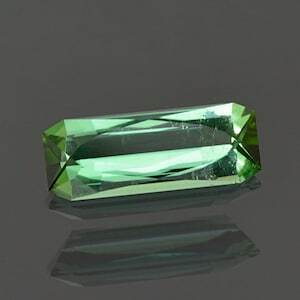 Here is a fantastic Tourmaline! 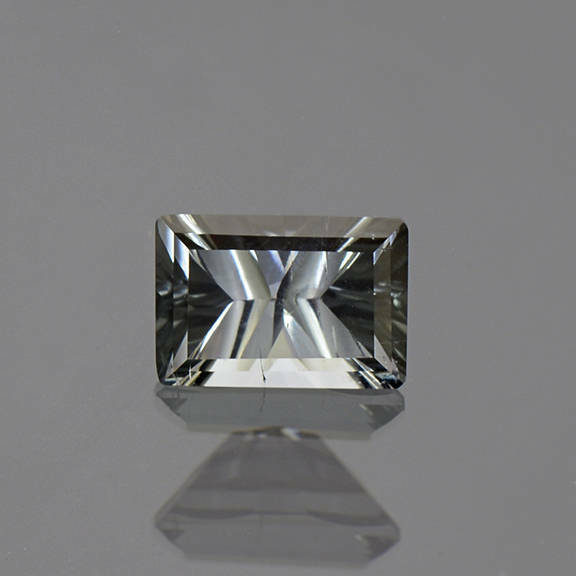 The color is a silvery blue which is rare for Tourmaline. This is a new production of Tourmaline out of Brazil, from a small dig that is producing these attractive silvery colors. 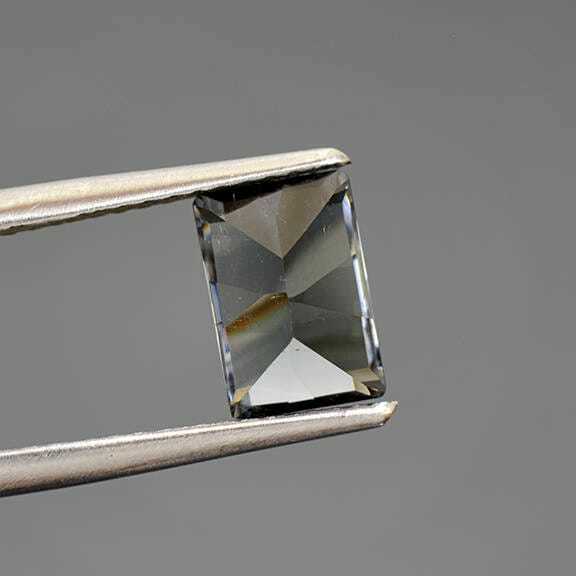 The stone has been concave cut to achieve this radiant brilliance. Concave cutting is created with cylindrical burs that cut into the surface of the gem. The table is still traditionally faceted to allow optimum light return. The cut is beautiful in this material and produces a glittery silver flash that is just so attractive. 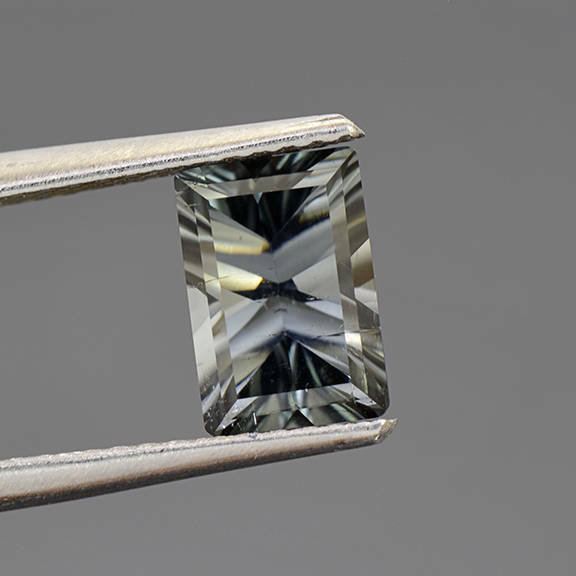 This stone will make a stunning ring that will be one of a kind! Enjoy! 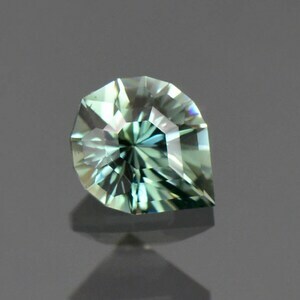 Fine Teal Green Tourmaline Gemstone from Maine 2.06 cts. 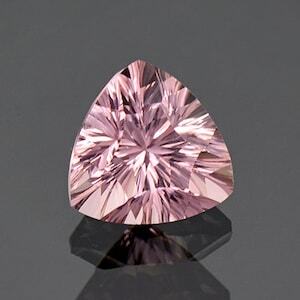 Lovely Pastel Pink Concave Tourmaline Gemstone from Afghanistan 3.47 cts. 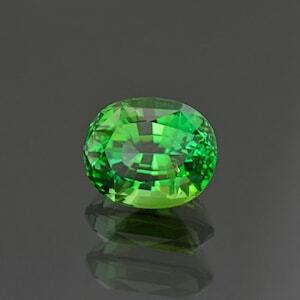 Fantastic Precision Cut Evergreen Color Tourmaline Gemstone from the Congo 1.35 cts.